Gabby is the first one up and she is hungry. 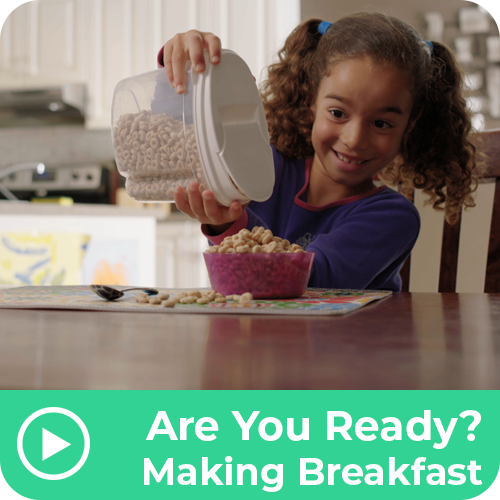 Is she ready to make her own breakfast? With a few good instructions she is eating away, now ready for her day! Are you ready?